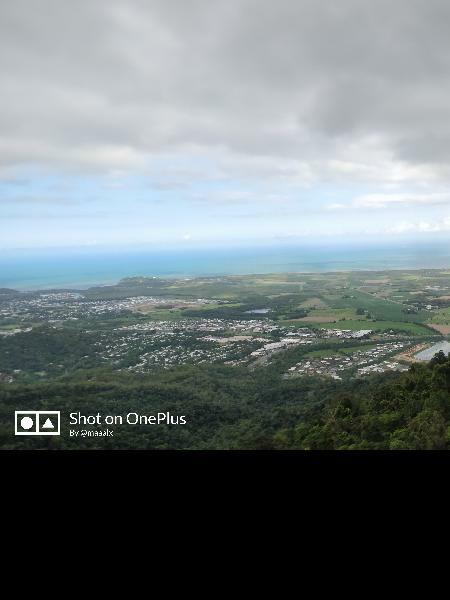 This product applies to Cairns CBD Accommodation only, you are able to meet the tour by car at one central pick up and drop off point by arrangement with the operator after booking. 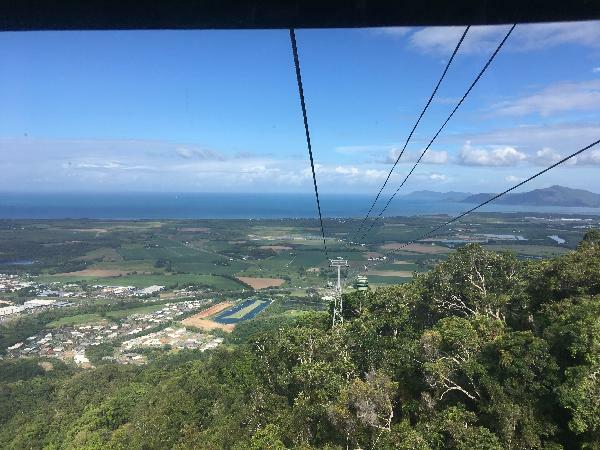 Visit Kuranda via the iconic Kuranda train and discover ancient tropical rainforests with Skyrail Rainforest Cableway, enjoying 2-3 hours to stroll the markets, check out attractions such as Birdworld, Koala Gardens and The Butterfly Sanctuary, before heading home via the alternate mode you arrived. The small rainforest village of Kuranda is nestled high in the mountains North of Cairns. It is full of exciting and vibrant markets where people from all parts of the Tablelands come together to sell their unique and interesting wares. 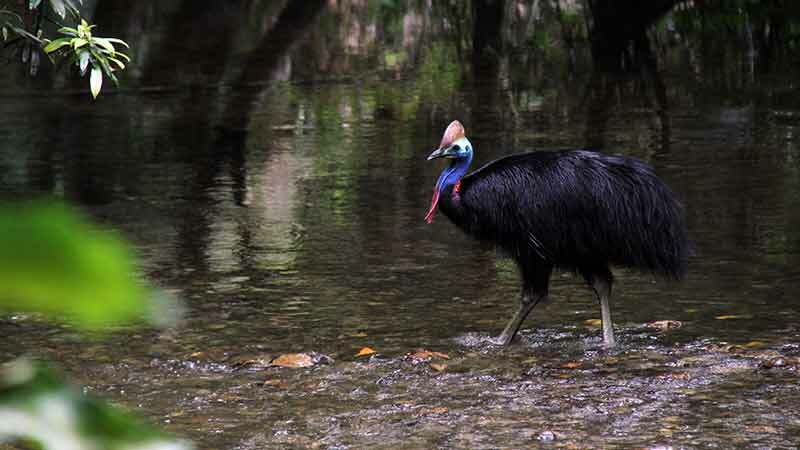 Kuranda is also home to great restaurants and some great rainforest walks. 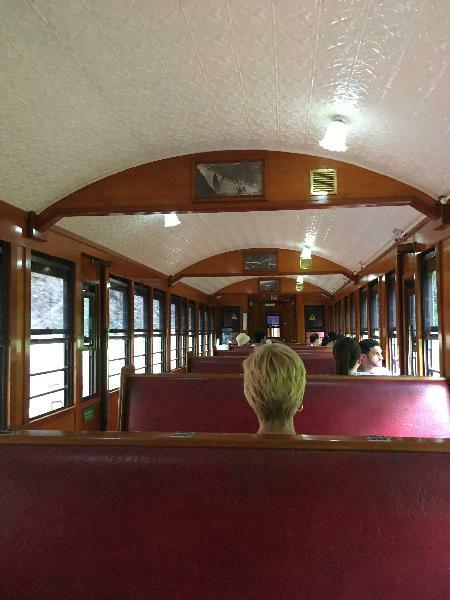 The Kuranda Train offers a 100 minute journey to/from Cairns Central will take you for a step back in time and give you a journey on one of the worlds most scenic train journeys. 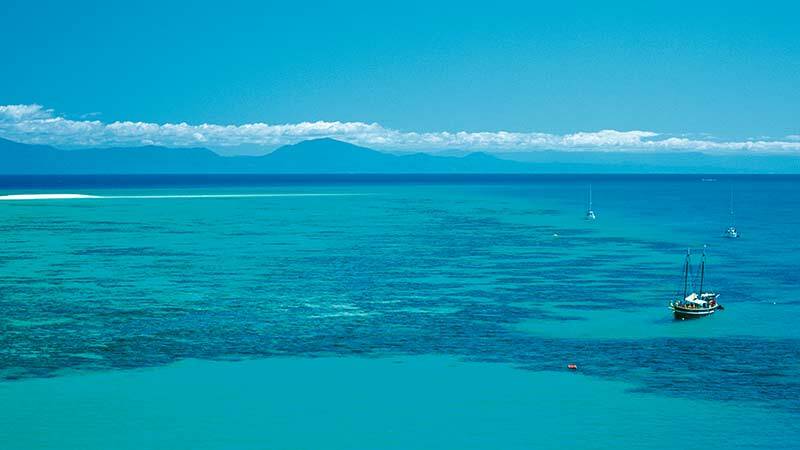 This journey gives you extraordinary views of the Coral Sea, World Heritage listed rainforest, exotic Gorges, lovely cascades and large waterfalls on-route. Your 90 minute Skyrail Rainforest Cableway experience takes you over and through World Heritage Listed Rainforest and includes time at two rainforest mid-stations. You will travel just metres above the rainforest canopy over the 7.5 kilometre journey. Alight at Skyrail’s Red Peak Station for a Ranger guided boardwalk available every 20 minutes. See the majestic and mighty Barron Falls and the CSIRO Interpretation Centre at Skyrail’s Barron Falls Station. This truly unique and iconic rainforest experience is a must do. 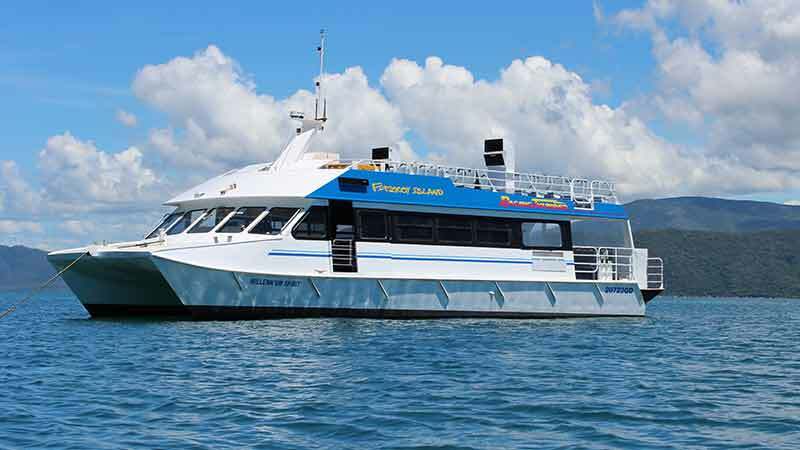 9am departure: Coach pickup from your accommodation to the Kuranda Train and head up to Kuranda, Skyrail down to Smithfield base and coach transfer back to your Cairns accommodation by approx 4.30pm. 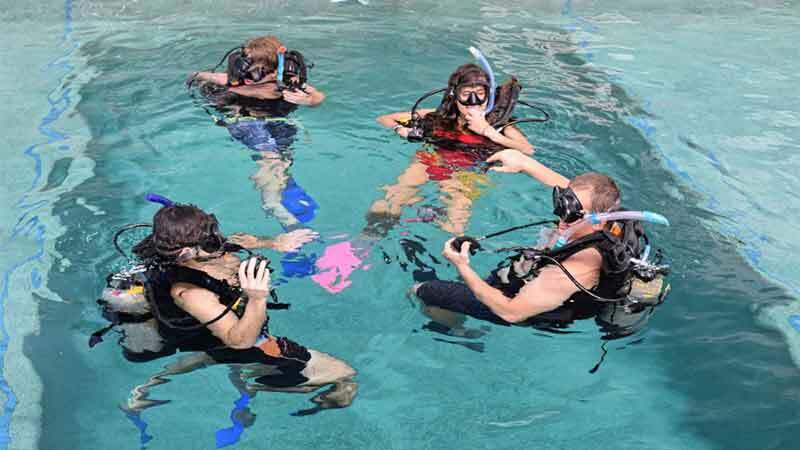 Cairns pick up only, transport from Northern Beaches and Port Douglas not provided. Can't spoil it entirely for you !!!! Karanda Day tour, Skyrail, train, coach. Awesome adventure at an awesome price! Fantastic experience and made so much easier by trek north. Thank you for being prompt and professional. It's all about the journey not so much about the destination. The train ride on the way up to Kuranda gives you spectacular waterfall views. The skyrail on the way down gives you a beautiful view of the rainforest from above. Kuranda village doesn't add much to the experience but there are some nice rainforest walks. The Staff were absolutely wonderful, friendly, knowledgeable & the views spectacular !!! !This is definitely a must do !!! !We'll definitely be back to do it again !!!!!! Thank You to All involved in this Fantastic experience !!!!! 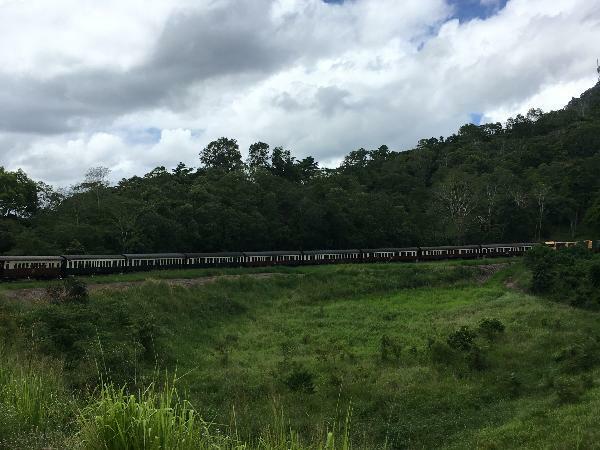 Your message has been sent to Kuranda Day Tour - Train, Skyrail, Coach. You should hear from them shortly. Please note: all responses will come directly from Kuranda Day Tour - Train, Skyrail, Coach, and not the team at Bookme.